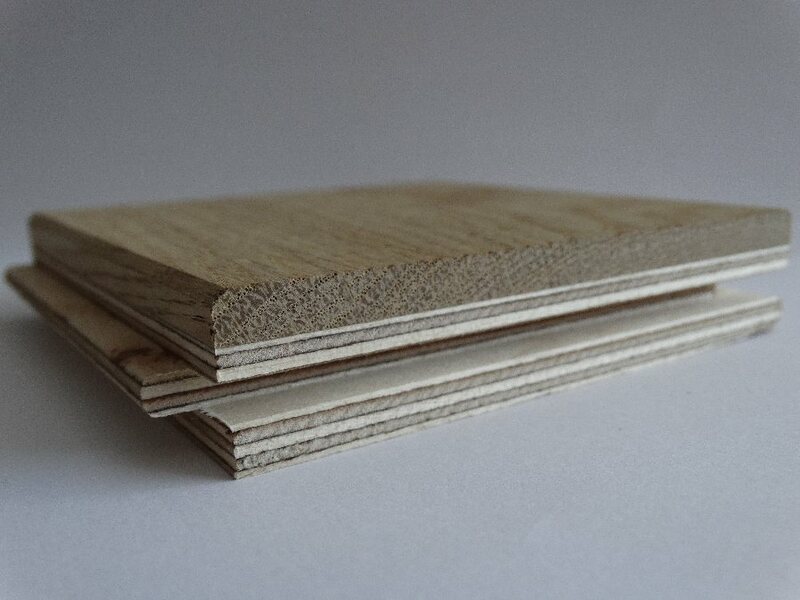 In order to meet the expectations of our customers, we decided to expand our product range by another product such as layered floorboard. 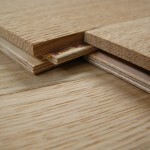 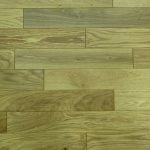 The layered floorboard is available in width from 70 mm to 230 mm, length from 500 mm to 2500 mm, thickness from 12 mm to 22 mm or other on request. 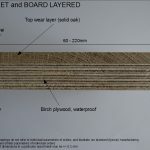 Thanks to the use of two layers of wood (different types) the board is extremely durable, flexible and stable regarding to prevailing environmental conditions (excessive or insufficient humidity). 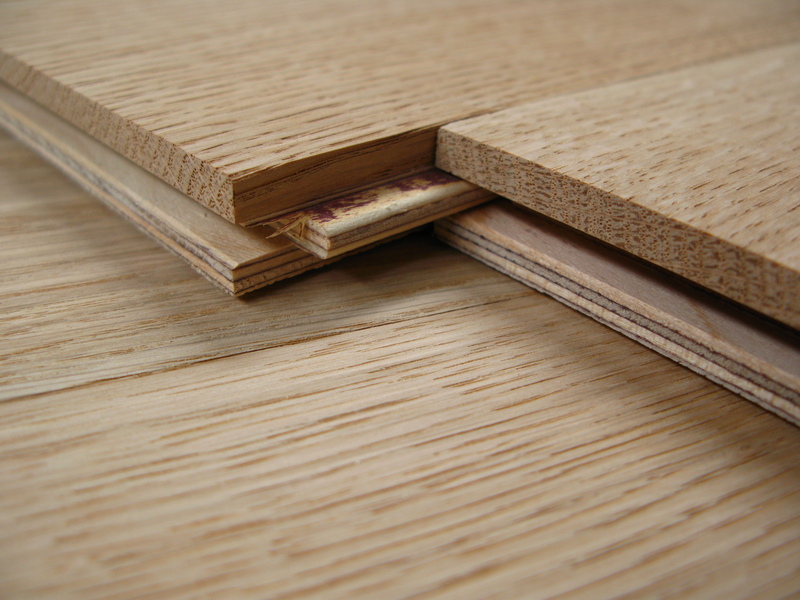 The wear layer has a thickness of about 3 mm to 6 mm and is made of oak wood which is characterized by high durability and timeless appearance. 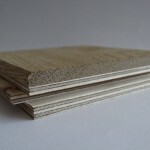 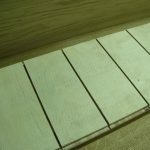 Our offer also includes layered ash boards and other wood types for individual customer’s orders. 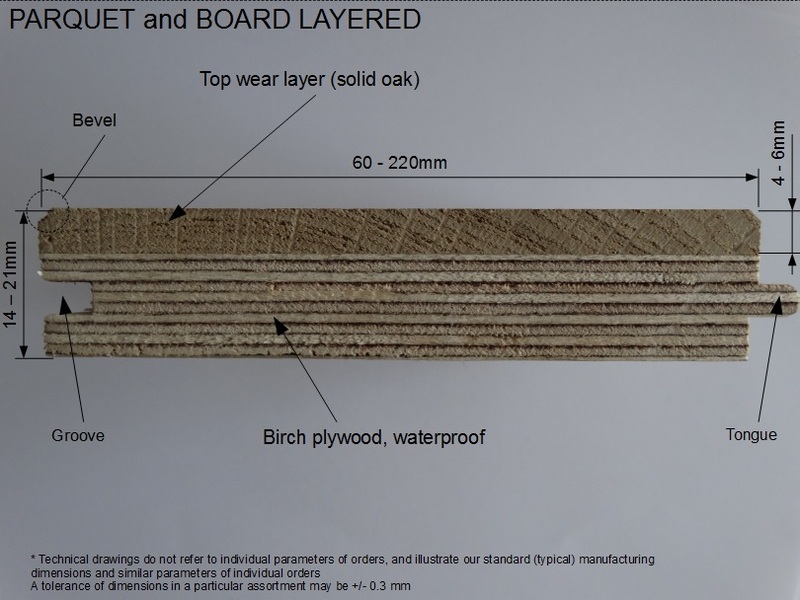 To reduce the penetration of moisture from the substrate and to provide more stability we used waterproof birch plywood as a bottom layer. 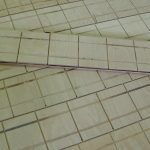 For gluing these two layers, we use precisely cut material strictly according to technological standards, using the best adhesives available on the market. 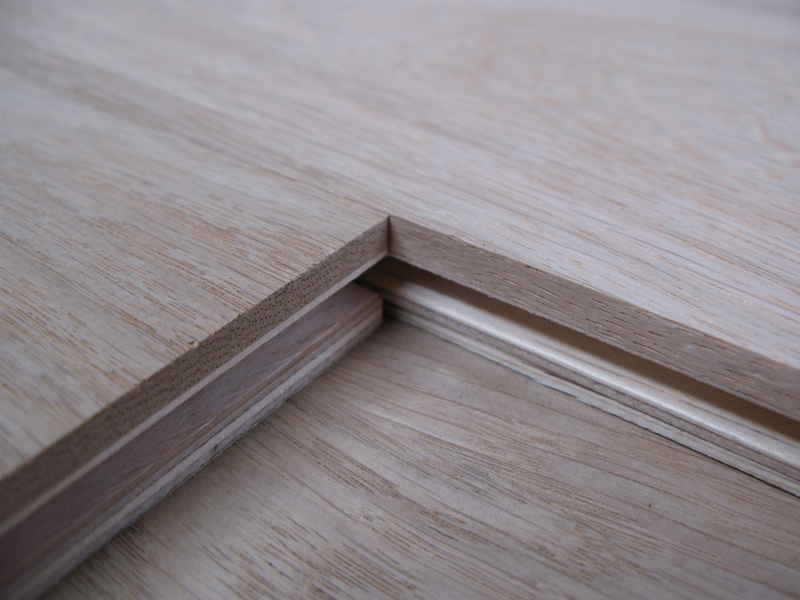 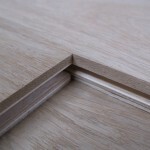 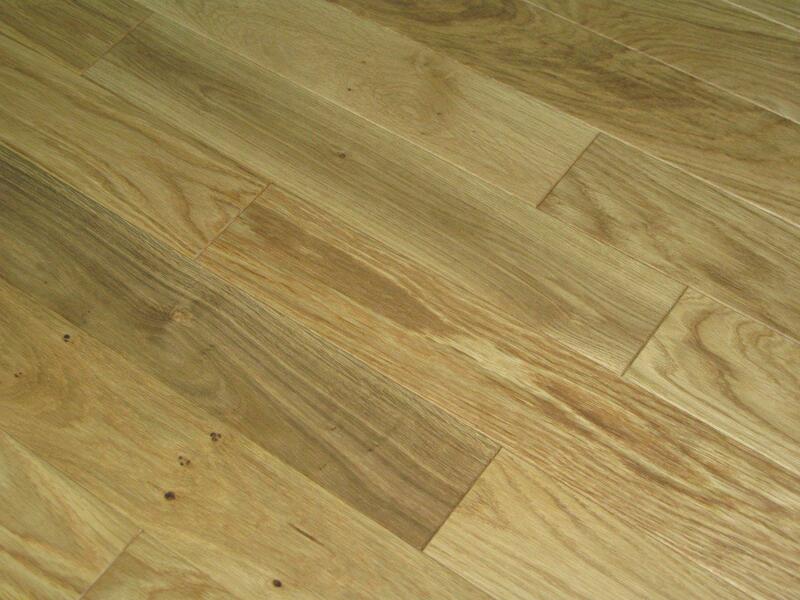 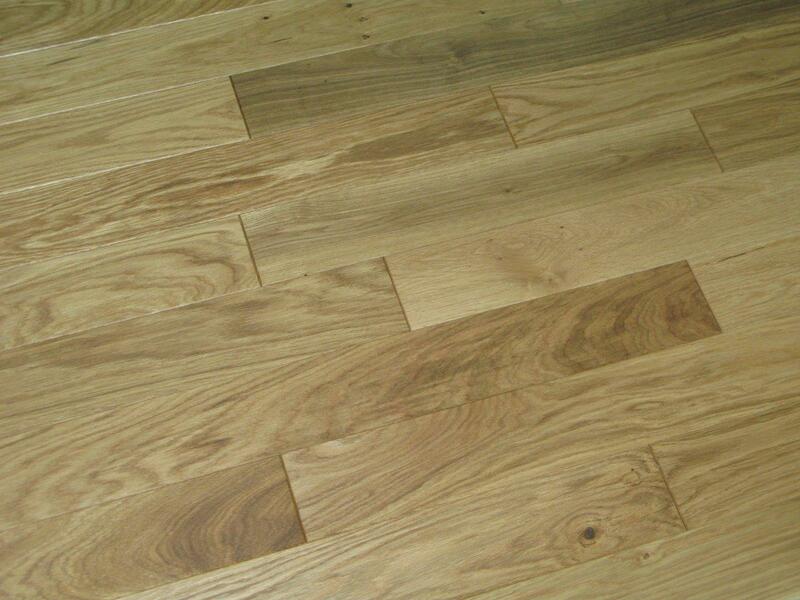 Thanks to the use of two layers where the bottom part is cross-bounded, the durability of the layered floor increases. 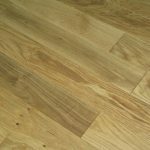 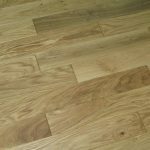 The parquet becomes more stable and better suited for rooms where the laying of a solid parquet floor has not brought a particular result, eg. 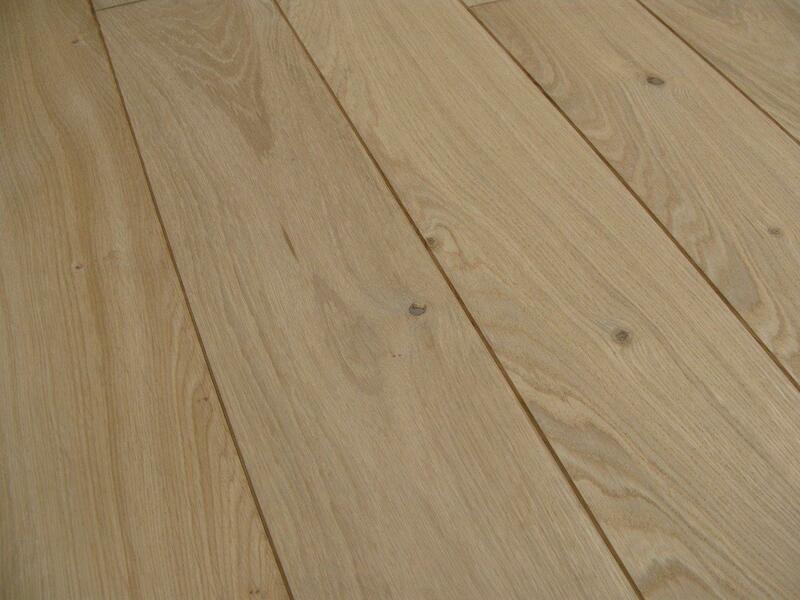 in areas with high variability of humidity and temperature. 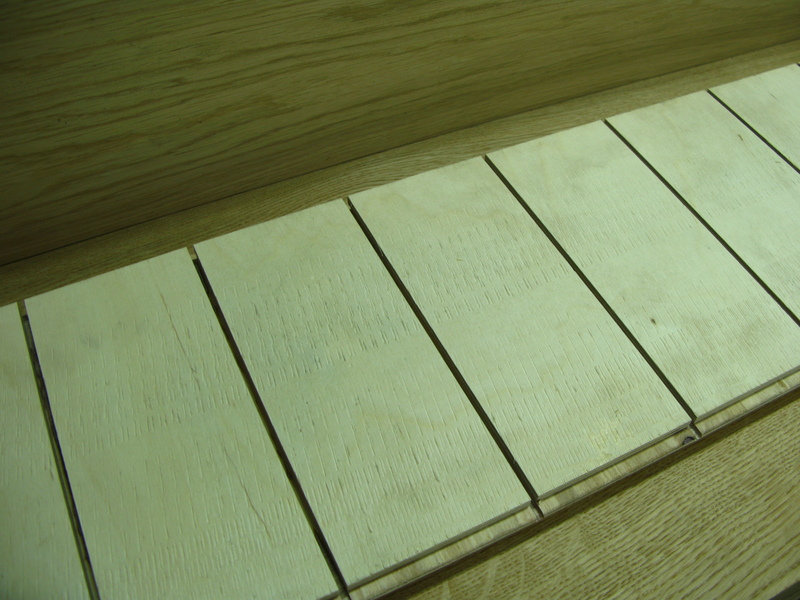 In addition, you can order a board with expansion cuts on the bottom side of the layered board. 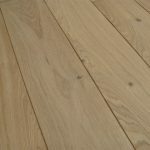 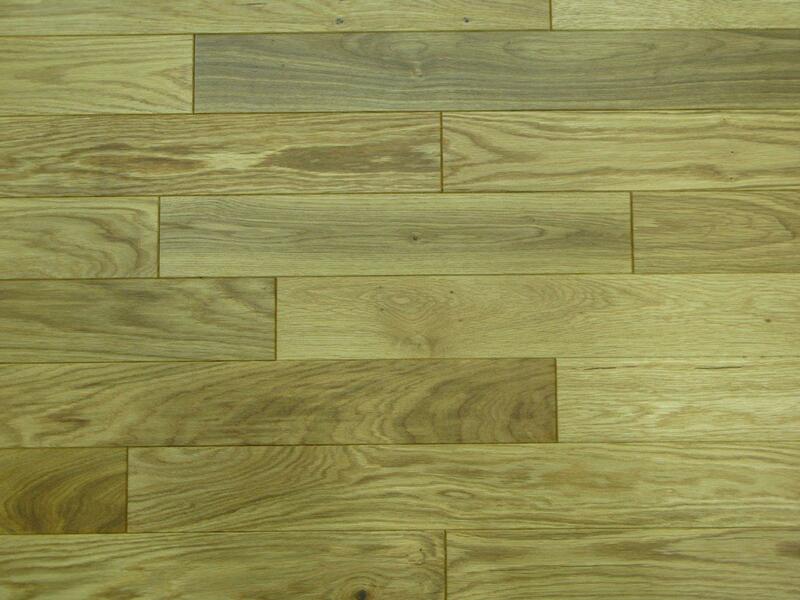 If you do not find a floorboard that meets your requirements for dimensions, class or final visual effect, please contact us and we can submit an offer according to your individual requirements !!!! 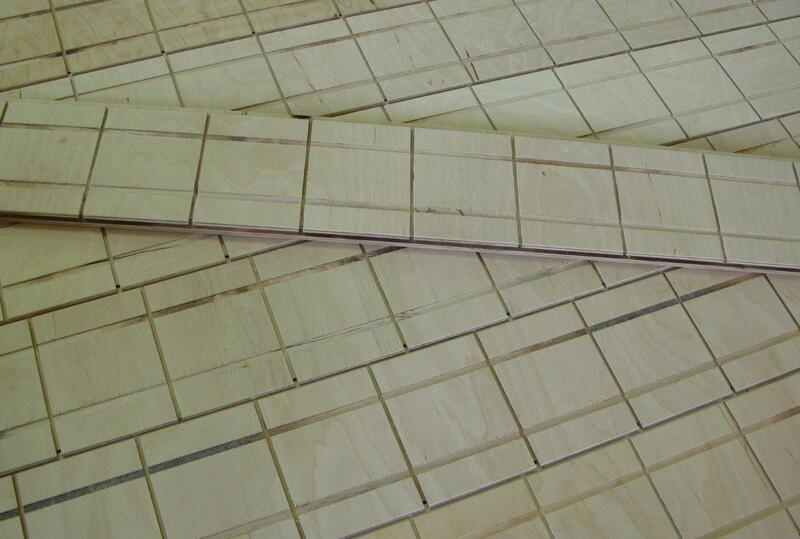 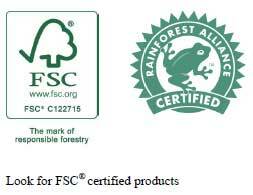 * with a total thickness of the boards in parentheses usable layer thickness.